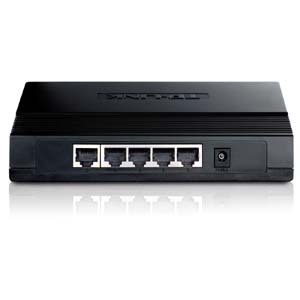 The SG1005D 5-port Gigabit Ethernet Switch provides you with a high-performance, low-cost, easy-to-use, seamless and standard upgrade to improve old network to 1000Mbps network. Increase the speed of your network server and backbone connections, or make Gigabit to the desktop a reality. Power users in the home, office, workgroup, or creative production environment can now move large, bandwidth-intensive files faster. Transfer graphics, CGI, CAD, or multimedia files and other applications that have to move large files across the network almost instantly. SG1005D adopts Green Ethernet technology. 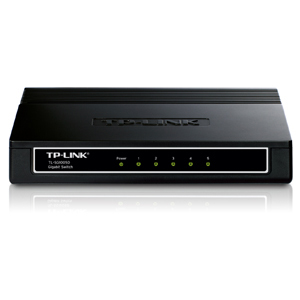 It can automatically power down ports that have no link, and budget power output for different cable length. With Green Ethernet technology, SG1005D can help you save power and network cost.